We don’t often regurgitate American car magazine news but this one is hard to not mention. Car and Drive has named the E9X 3 Series to its annual top 10 list. But that’s not why it’s noteworthy. It’s because this is the 21st straight year that has happened. Official Release: The BMW 3 Series has been named to the Car and Driver 10Best Cars list for 2012, marking the 21st consecutive 10Best win for the BMW 3 Series. It is the only car to achieve such an unbroken string of wins. The BMW 3 Series, originally introduced to the United States market in 1977, is now entering its sixth generation. For the 2012 model year, the 3 Series name covers a wide array of models all sharing the common theme of traditional BMW values: compact dimensions, near-perfect 50/50 weight distribution, excellent outward visibility, precise ergonomics, smooth yet responsive engines, and a direct connection to the road. Available as a Coupe, Convertible, and Sport Wagon, as well as two- and all-wheel drive variants, the 3 Series can be configured for a range of active lifestyles. 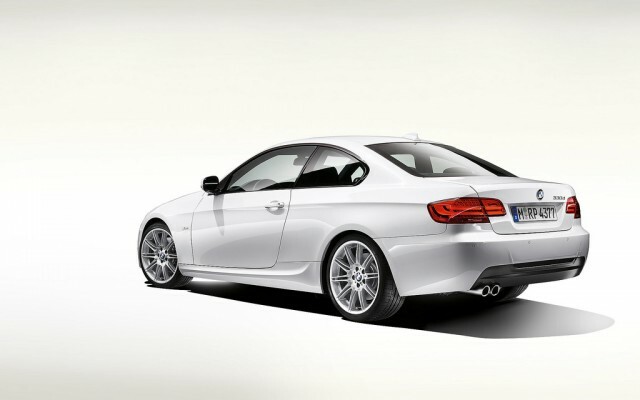 At the top of the 3 Series are the fire-breathing M3 Coupe and Convertible. The M3 is powered by a 4.0-liter, 414 horsepower V8 engine and represents decades of race-bred development by BMW M GmbH. In February 2012, the sixth generation of BMW 3 Series Sedan will begin with the launch of the all-new BMW 328i and 335i Sedans. The 328i features BMW’s new TwinPower Turbo 2.0-liter 4-cylinder engine. Both Sedans feature an 8-speed automatic transmission and Auto Start/Stop technology designed to optimize efficiency. As a pure expression of The Ultimate Driving Machine, every 3 Series model, regardless of engine configuration or body style, is available with a six-speed manual gearbox. Also standard is BMW Ultimate Service, including no-cost maintenance for four years or 50,000 miles.